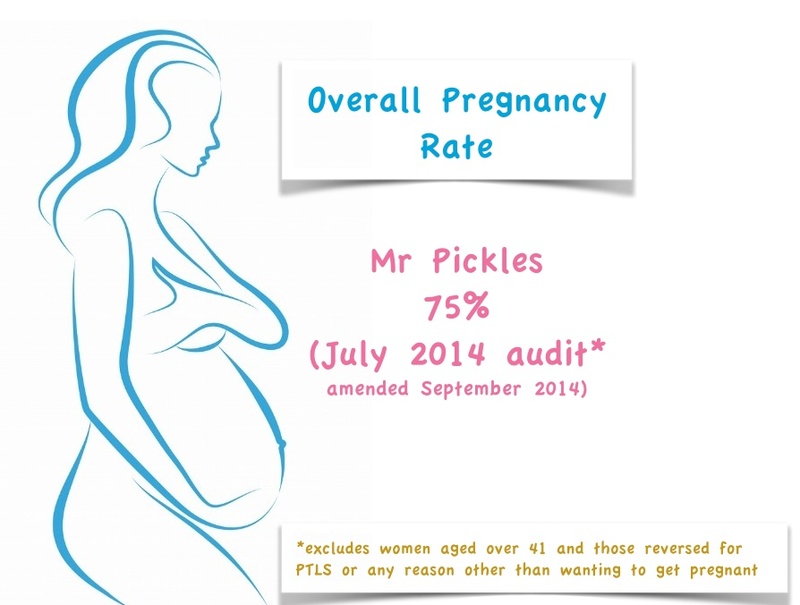 Mr Pickles’s success rates for the female reversal of sterilisation operation in women aged 41 and under are as follows: Success of the female sterilisation reversal operation is defined in 2 ways. 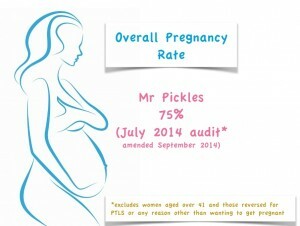 The first is by pregnancy of which Mr Pickles has a 75% success rate meaning that 75% of the women who had this operation performed by Mr Pickles had a pregnancy (this percentage excludes those women over the age of 41, who were reversed for PTLS or any other reason than trying to get pregnant). The second factor by which success is determined after a female sterilisation reversal is Patency. This means if the fallopian tubes are able to allow an egg to pass along to enable fertilisation. These figures relate to all women who attended Mr Pickles clinic at the BMI Park Hospital, Nottingham up to the end of 2012. They show his female reversal of sterilisation success rates in detail. For the purposes of the audit, the figures relate to those women aged 41 and under. In total, up to the end of 2012, 95 women attended for a reversal of their sterilisation. Of these, 77 were 41 years old and younger and trying for a baby. 3 ladies out of 95 (2.8%) had an ectopic pregnancy. Nobody suffered from a DVT (deep vein thrombosis) Nobody had serious bleeding as a consequence of surgery. How Do These Female Reversal of Sterilisation Success Rates Compare? 65% of women aged 39 and under become pregnant. 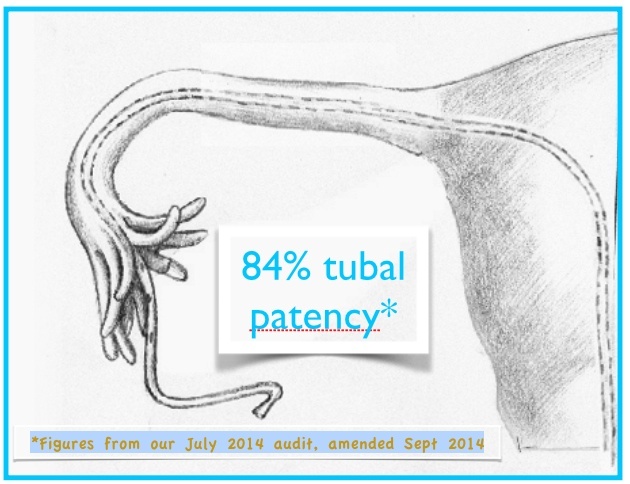 No figures given for patency rates. Here Mr Pickles differs in that he follows up patients who do not become pregnant with HSG. This is an additional cost and not all patients who could have this, choose to have it. Mr Pickles’s female reversal of sterilisation success rates, measured in terms of pregnancy and fallopian tube patency rates, compared to a female sterilization reversal practice in the USA indicate that he has an acceptable success rate with a high percentage of women becoming pregnant after surgery. 32 year old lady sterilised with clips aged 26 years. Had 3 children previously, all by normal delivery. Still with the same partner but would like to have a further child. IVF considered but would prefer a reversal. Reversal performed August 2014. Patient let us know now 6-7 weeks pregnant.